Cleveland is in the midst of a transformation that centers around bringing old resources to life -- such as Marcel Breuer's once-ridiculed brutalist tower, which just reopened as The 9, a stunning mixed-use project in the heart of downtown. Yet the concept of "reduce, reuse and recycle" isn't just for grand projects. It also applies to artists and other people looking to become anti-waste warriors in a world of rampant consumerism—and save a buck or two in the process. Fresh Water recently conducted some field research so that you don't have to. 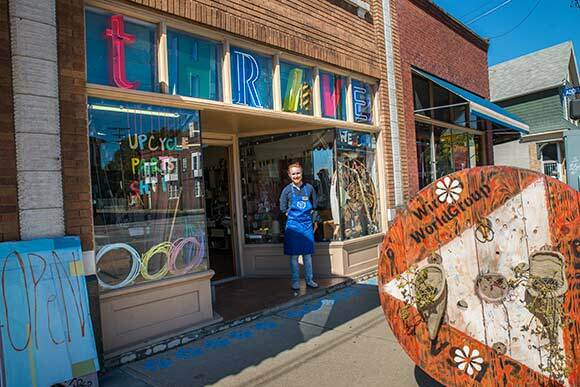 Here, we've rounded up 10 of the quirkiest, coolest upcycling shops in Cleveland. The inventory of HGR Industrial Surplus is a veritable steel army frozen in time. Hulking "iron dragons," the machines that powered yesteryear's Rust Belt line the 12-acre showroom (yes, 12 acres), which is unlike anything you've ever seen. An 80,000-pound press brake keeps watch over rows of pumps, milling machines and saws. A massive turret lathe, manufactured in the early 1900's just eight miles away at the Warner & Swasey factory on Carnegie, sits like a vigilant soldier. Giant industrial robots await orders. 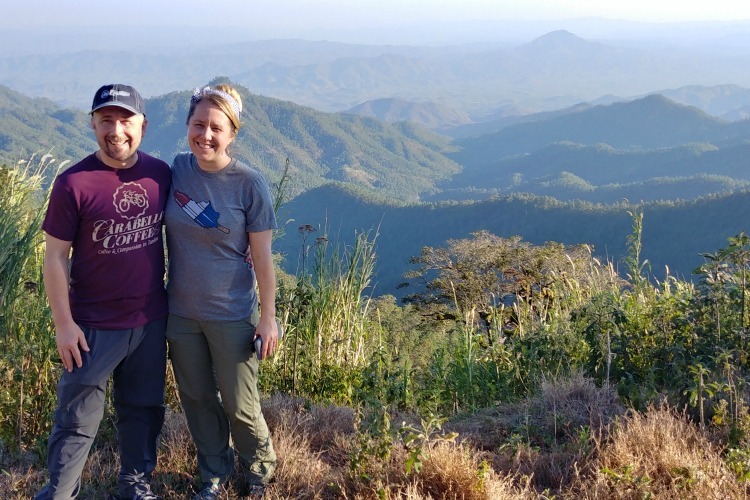 While much of HGR's inventory goes to machinists overseas and across the country, their distinctive designs spark inspiration in unlikely places. In 2011, HGR enlisted a host of artists to peruse the shop for materials they could transform into chairs, which were eventually auctioned off to benefit Euclid Heritage Park. Industrial pop artist Dana Depew created the Skate Conveyor Chair for the CHAIR-ity project, but his relationship with HGR didn't end there. Depew often browses the aisles for inspiration. "When you go to HGR and just look at these things, they created a certain design coordination that’s really beautiful," he says of the vintage machine stock, noting the steel bases and vertical shafts. "I'm really overwhelmed by that -- even the knobs -- just the gorgeous shapes and forms. The way they look is unbelievable." While Cleveland becomes more bike-friendly by the day, buying options for those wanting to launch on two wheels are not limited to big box stores or elite cycle shops. In Slavic Village, Al Zaleski, owner of Fleet Bike Shop, offers approximately 200 used bikes for sale a year. Each unit is completely overhauled and repaired over the winter and priced between $25 and $100. He puts them out in March and is usually sold out by May. "My dad and I started it all," says Zaleski. That was back in 1971. "I don't know anything better. I've been here since I was 16. I have it in my blood, I guess." 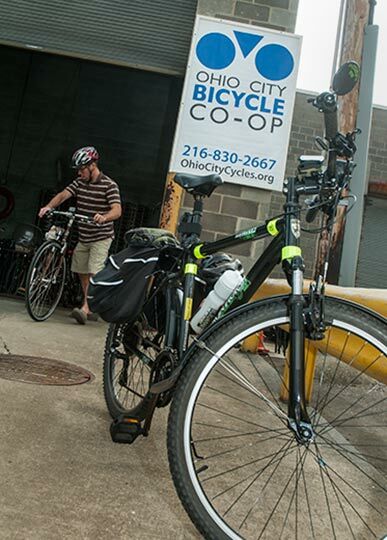 Across town in the emerging Rivergate Park area in the Flats, the Ohio City Bike Co-Op is home to a showroom, library and numerous work and staging areas where volunteers inspect donated bikes for usable parts or refurbish them for sale. At any given time, the warehouse is home to between 400 and 600 bikes. The Co-Op sells an average of 300 bikes a year and also offers membership with benefits such as use of the entire facility and classes on bike safety and maintenance. "Kids’ bikes start at $30," says Josh Goran, the organization's administrator. "Adult bikes start at $50 and can go up to $500 for a nice high-quality bike. And those are all refurbished bikes." For the more traditional travelers, why pay retail to keep all four wheels looking flashy? Hubcap Heaven, with an inventory of more than 250,000 hubcaps, can outfit your rubber whether you're driving an old Packard or new Dodge. What's the best part of selling hubcaps? "It's a true savings for the customer," says Lennie Barta, who runs the Bellaire location. "You'd be paying, on average, $100 dollars for a Toyota hubcap. You can pick it up here for $35. That's what I love about this business." The business was founded in 1958 by Lennie's grandfather Yaro Podzimek. Her father Ludvik runs the family's other location on Broadway Avenue, but hubcaps are only one aspect of the family's fascinating story. The National Czech and Slovak Museum and Library details their harrowing tale of immigration to the United States from Czechoslovakia. Lennie, however is not one to crow about her family other than to note the longevity of its business. "There aren't that many places left like this anymore." Unique Thrift on Lorain Road is iconic for many reasons. The super-sized thrift store carries everything from undergarments to shoes, along with a host of household goods. And while plenty of Unique's customers are hunting bargains, some are after haute couture as well. "Their accessories are really great," says local fashion maven Valerie Mayen. "I get a lot of head bands, scarves and hair wraps from them." She also notes a red skirt she found at Unique and altered to her liking. "I wear it all the time, it's one of my go-to skirts. I've had it forever." What advice does she offer to thrifty fashionistas? "Check the armpits for yellowing or stains," says Mayen. "Make sure all zippers and buttons are working. And just because it's in the little boys' section or the men's section doesn't mean you can't wear it." Lastly, she advises going early on a Monday, when all merchandise is half price. Earlier this year, the Upcycle Parts Shop opened as a "creative reuse center" on St. Clair Avenue. This brainchild of Nicole McGee is brimming with bits that beg to be reborn: bins of buttons, shelves lined with seashells and unusual chunks of wood that were donated by A Piece of Cleveland. Other trash-to-treasure finds include a canister full of arrows, vintage necklaces and scraps of vinyl that can be reused for art projects. Made possible by a $375,000 ArtPlace grant, the focus is all about the surrounding community. A custom "art bar," made from repurposed pallet wood, is free to use for creative residents within the 44103 area code. Others are encouraged to make a $5 donation. Pete Meehan, the shop's not-so formally titled "assistant logistical everything," has watched the budding venture take off, particularly when it comes to the community open studio events, which feature guest artists such as Gadi Zamir of Negative Space gallery and studio. 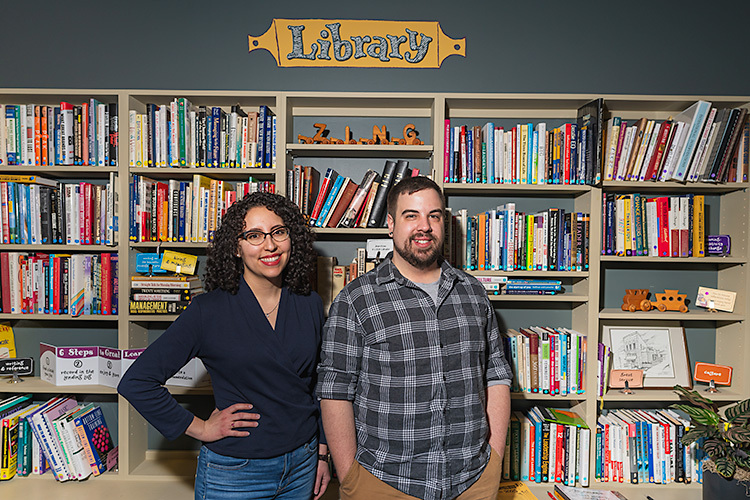 "They've been growing every time we've done them," he notes of the programs, adding that the entire venture is made possible by creative donations. "Some people will have a banker's box full of stuff, others will pull up with pickup trucks." Sometimes the most refined objet d'art is only available used—and very gently at that. Elegant Extras on Larchmere sells antique and vintage porcelains, crystal, sterling silver, jewelry and decorative pieces. Labyrinthine aisles are flanked with tables brimming with all that gleams and shimmers: ornate dinnerware, rows of crystal stemware and every serving platter and utensil imaginable. Alan Hodges and William Santa Barbara founded the shop 32 years ago. "Most items are vintage to antique -- 50 years old or older," notes Hodges. "We have antique pressed glass dating from 1850 to 1900." The shop also features a bridal registry service, where dewy maidens can select one-of-a-kind items for purchase by family and friends. 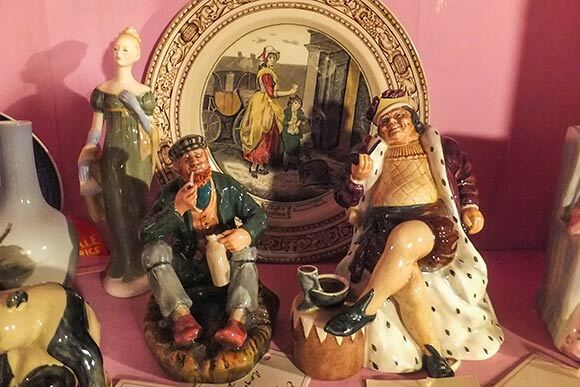 Why not embark on the ever after with a 60's-era cookie jar fashioned after a wood burning stove or a set of Royal Doulton Miniature Toby Jugs? "It's a little bit of everything, mostly what people use for entertaining," says Hodges of the shop's eclectic offerings. "Every week it's different." Cassette tapes … reel-to-reel … eight tracks? For the audiophiles among us that love the oldest of the old school, RAM Electronics is pure paradise. The ever-changing stock features names such as Onkyo, Thorens, Akai and Teac on amplifiers, turntables and tape decks. RAM also stocks a wide range of turntable needles. "They'll drive for three or four hours," says RAM vice president Rick Neiditz of his customers. No surprise that, considering he's got vintage treasures such as Macintosh tube amps that hail from the 1970s. "Some of the vintage stuff we have is worth more now than when it was new." 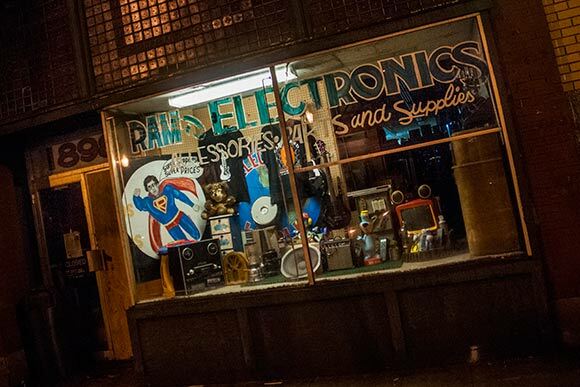 RAM also carries an array of parts for the DIY set as well as vintage appliances. Try a 1957 Vitamix or a KitchenAid mixer that dates back the days of World War II. "I hate to see people throw good stuff away," says Neiditz. Whether you're outfitting a home office or starting a new business, the absolute must-see showroom is housed in a quirky building on Carnegie Avenue you've probably passed by a thousand times and never noticed -- Discount Desk and Office Supply. "We have Steelcase chairs and Herman Miller chairs that retail in the vicinity of $600. We sell them here every day for $99 and up," says president Steve Marks. "We do a lot with work stations," he says, adding that new cube units can run $3,000 to $5,000, but Marks sells his gently used units at prices starting from $299. Discount Desk is also frequently tapped by visiting film crews to provide set furniture as well as chairs and desks for the production offices. "We furnished all the furniture for Criminal Activities with John Travolta," says Marks, adding he has two deals with film production companies in the works for next year. On West 110th Street, altruism meets daily living at Habitat for Humanity's ReStore. One part furniture store, one part appliance store and one part construction outlet, it takes more than a minute to absorb the diversity of the 22,000-square-foot showroom. 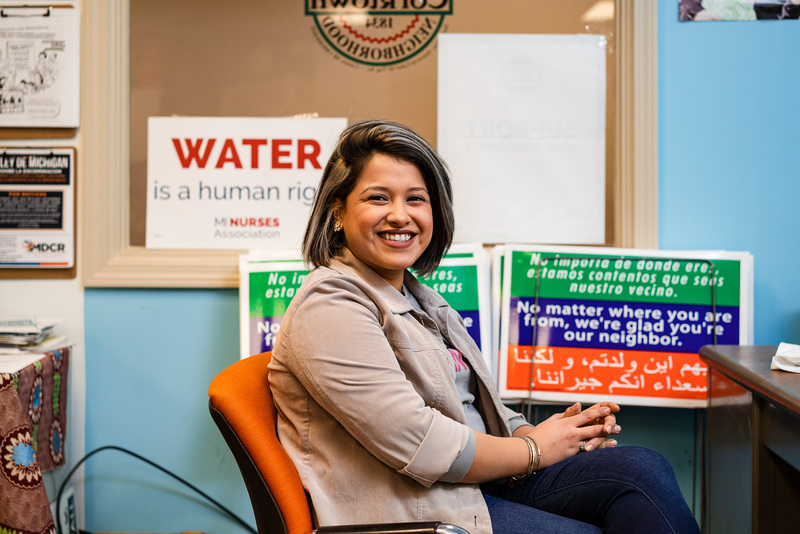 "It's a million dollar business—or more," says director Matt Haren of the non-profit's annual sales. The 35,000-square-foot building also houses droves of on-deck merchandise and workstations where volunteers disinfect used furniture and test lighting and appliances. All proceeds go to fund Habitat's mission to end substandard housing, but at ReStore, there are ancillary beneficiaries. 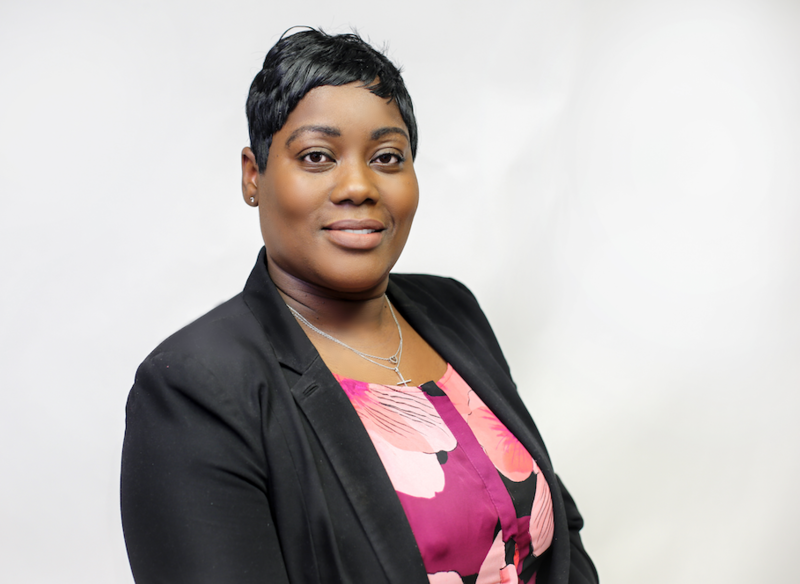 "We've got low income families, charitable organizations that deal with halfway houses and people that just can't afford things coming in," says Haren. "Not only are we selling all of this at a price that they can afford, we're sustaining them in ending their own substandard housing." Case in point: a working refrigerator that's been tested to chill at safe temperatures can be had for $85. With deals like that, it's no wonder ReStore's inventory turns around in 90 days. "We're able to provide low cost, repurposed items. We're trying to benefit the community -- even with stuff we throw away. Were sort of on the front edge of making an impact."